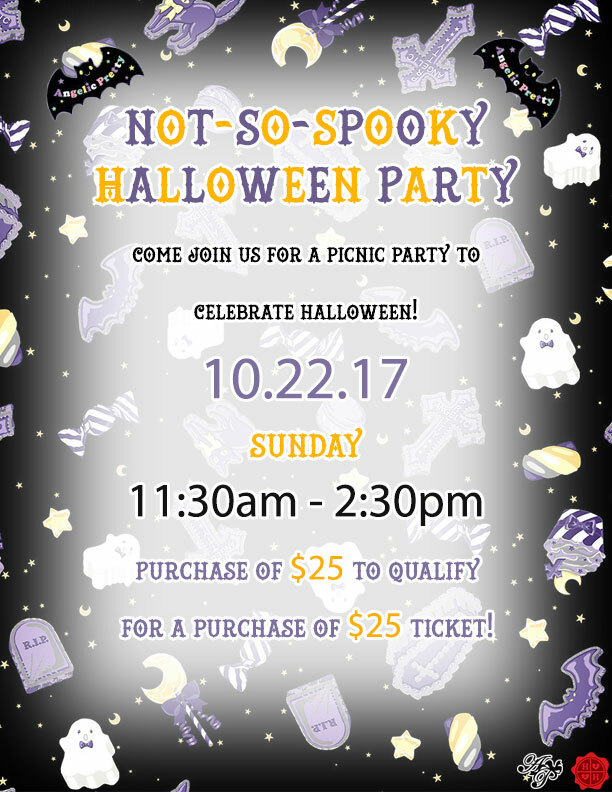 Not So Spooky Halloween Party!! September is almost ending and that means Halloween is right around the corner? There will be food, games and special private shopping time to enjoy!!! Purchase of $25 will qualify for $25 ticket to attend the party. One ticket can be purchased from one transaction. 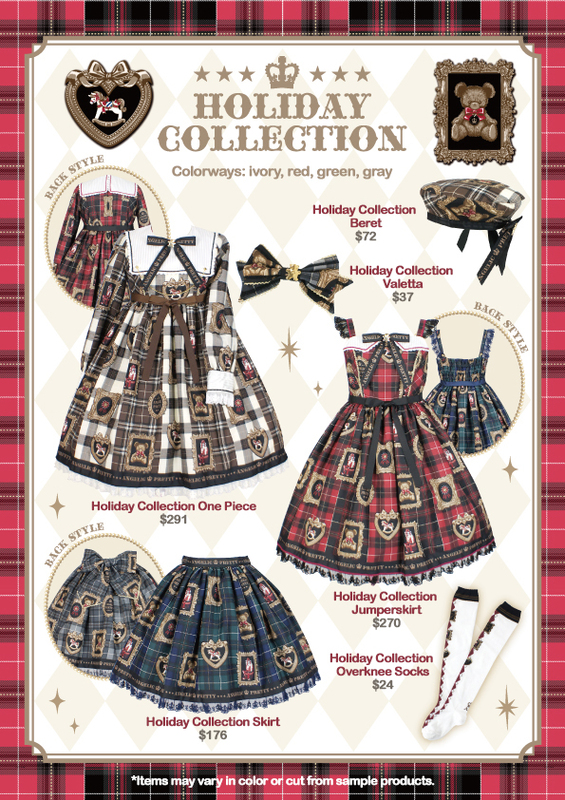 Purchase can be made at Angelic Pretty San Francisco branch or Angelic Pretty USA website. Holiday Collection & Lovely Shopping Launch! ✨Holiday Collection✨ & ❤️Lovely Shopping❤️ Series will be launched this Friday, 9/22/17 (Fri) online at 12pm PST? This will not be a ticketed release. *Purchase of main garment (one piece, jumperskirt, skirt or cutsew one piece) is needed to purchase up to 2 accessories from same series. *Max of two (2) main garment purchase from same series per household. *Can not purchase 2 of same main garment or accessories. One of our staff member, Lynda Leung, has accepted a position at a new venture and left our company. We acknowledge her efforts and thank her for the dedications to the company throughout the years. We wish her the best of success in her future challenges and endeavor. We will be releasing Halloween Treats series on Friday Sept. 8th, 2017 at 12pm PST. Available color ways are Ivory, Lavender & Black. This series will be a ticketed release. *Max 2 items may be purchased from same style. *Can not purchase multiple of same style and color way.